I love vegetable pancakes of all kinds. 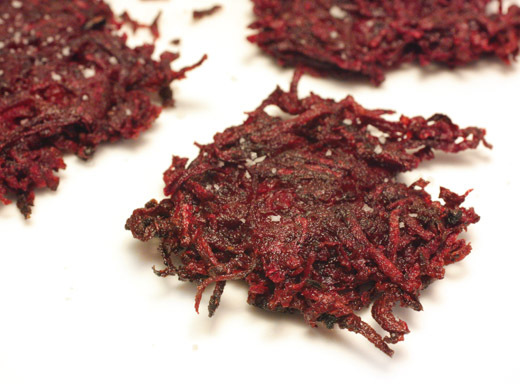 I have never made beet pancakes - they look delicious! This idea is great! I would probably try slightly different root vegetables, but it sounds really good. oo how unique! I haven't seen red pancakes b4 made with vegetables... great idea! wow thts a great idea! how novel and pretty and completely spectacular! never in my life would i have considered creating pancakes with beets. amazing. Ahhhh the color is gorgeous. We love to make these with zucchini! Not as pretty in color as yours though. Those are gorgeous, I love root veggies, thank you for sharing! 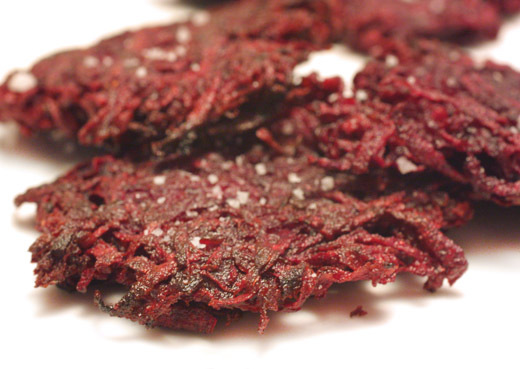 Gosh, beetroot is my favorite, seriously, I can eat this vibrant color root in any form. I never even think of turning it into pancake. Sounds so delicious. Thanks for the idea. I am a beet lover and I will try these for sure! Love them! wish i had them for Hanukkah instead of the usual potato latkes, I would've stumped them all! Love beets: were your hands completely red? My dad makes latkes with zucchini: it's really good too. Oy! Why do men have to be so difficult? Whenever I serve up a vegetarian meal its met by "where's the meat?" moans and groans. Oh well, have to love them! I've got a pantry full of applesauce that's just crying out for these. Nice one. I have to try these. I'm getting tired of root vegetable soup.